Cleaning your makeup brushes often is essential! Bacteria can quickly build up on your brushes, and you don’t want to use dirty brushes on your face. I recommend cleaning all your brushes (eye and face) at least once a week. It will be will worth it and help prevent acne breakouts. After you’ve gathered up all your dirty brushes, you’ll need a brush cleanser. 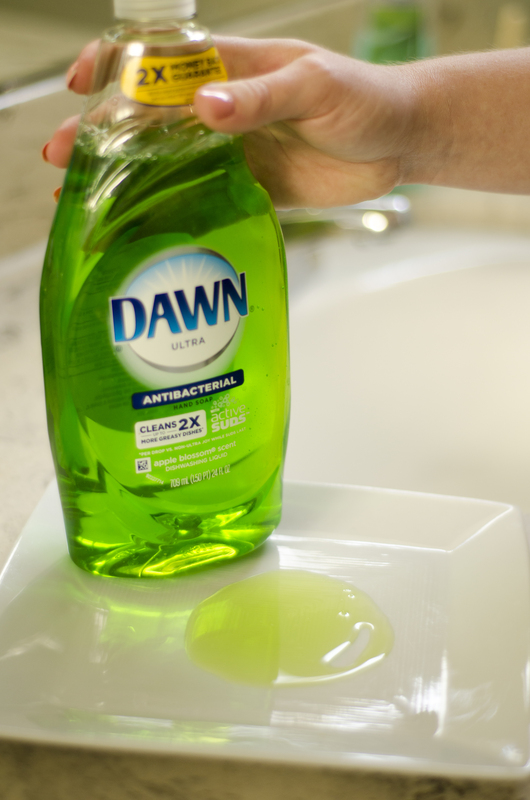 I find the best soap is just your basic antibacterial version from Dawn, other speciality “brush cleaners” are overpriced in my opinion. Multiple beauty gurus have recommended this product, and I couldn’t agree more! Getting the antibacterial version is most important. Pour a little bit of the soap onto a flat plate or bowl. 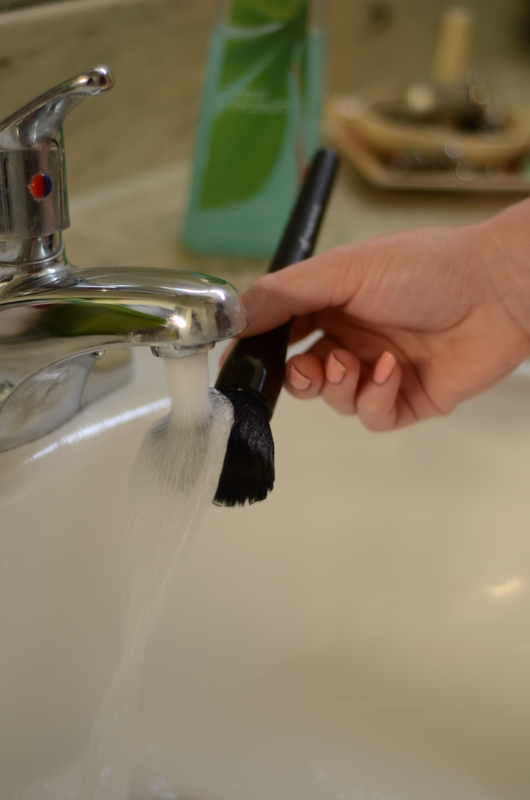 Then, you’ll need to wet your brush – always keeping the brush facing down! Never hold the brush upright during the entire cleaning process. 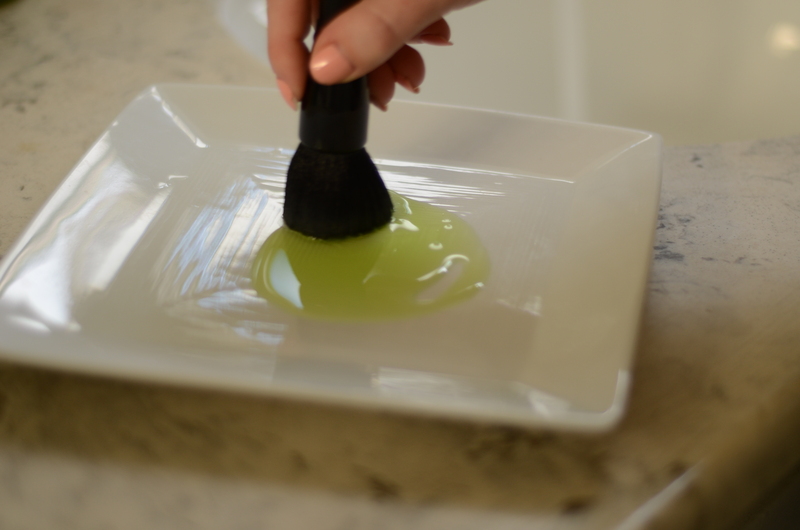 Next, swirl the brush in your soap – making sure to completely cover the entire brush head. 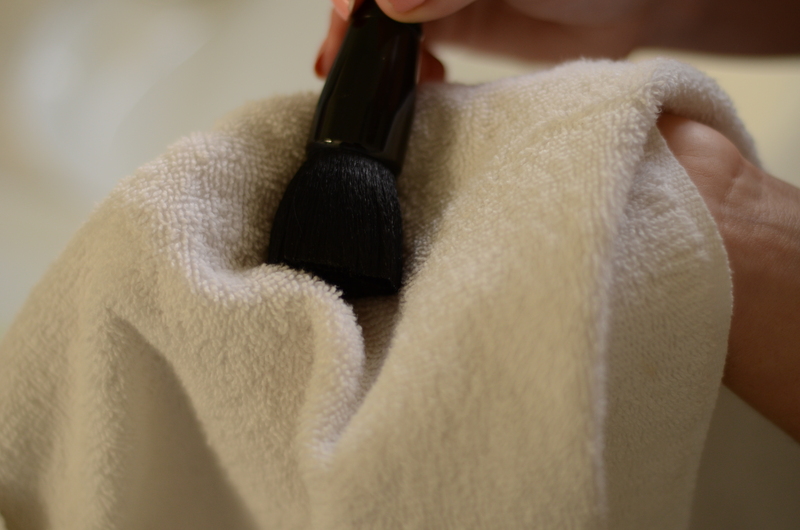 Swirl the brush head in your CLEAN HANDS to clean out any makeup residue. You can combine a little water to make the brush more soapy. Be sure to get every angle of the brush ensuring it’s thoroughly cleansed. Next, rinse the brush under running water – during this whole process you’ll want to keep the water at a lukewarm temperature. Be sure that all the soap is rinsed out. With a dry towel squeeze out as much of the excess water as you can. You want to keep as much water away from where the brush hairs connect to the brush handle. Otherwise, you’ll break the glue bond. That’s why keeping the brush face down is so important while cleaning your brushes. 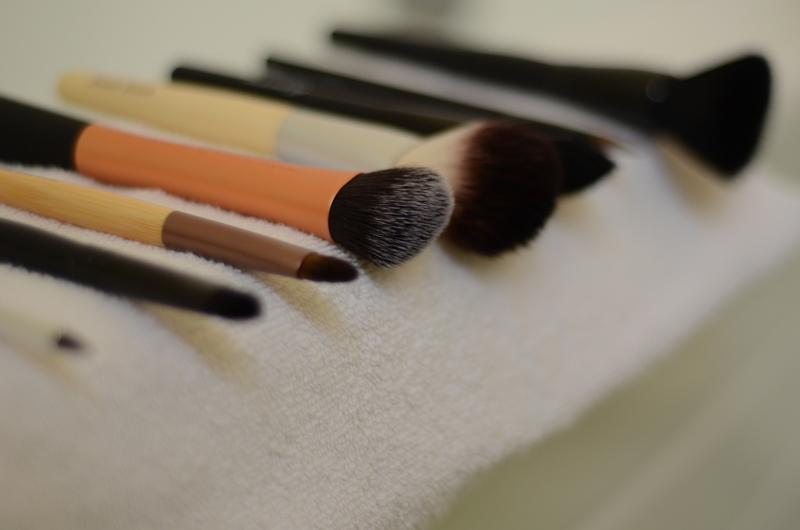 Lastly, dry your brushes by hanging them over the counter on top of a dry towel. This will ensure that your brushes dry evenly and be ready for use. You never want to dry your brushes right side up as the glue bond will eventually break down, ruining your brushes. What’s in My Lucky FABB Gift Bag? Very good technique! I do the same, using antibacterial wash really makes the brushes feel cleaner! Also no one can exaggerate enough about how easily the glue bonds can be broken if the brushes are turned to stand up etc.. So when washing never stand them up else it’ll ruin your beautiful brushes. This was so helpful! Definitely going to clean all of my brushes tonight! I’m glad it was helpful! You’ll be amazed as to how dirty they can get. Glad you enjoyed it – cleaning your brushes is so important! Check out my tutorial and tips on how to clean your makeup brushes!